Ideal for jotting down ideas, quick sketches or impressions whilst on the go, these travel booklets are also a useful tool for keeping records and notes. They are in portrait format and measure 9 x 14cm with a small pocket in the rear cover - a great idea for collecting notes, photos or sketches. 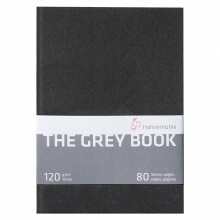 The booklet contains 20 sheets of unlined sketch and has a lightweight structure of 140gsm, enabling good colour laydown for long lasting pencil drawings. Pack of 2 booklets, each measuring 9 x 14cm. 20 pages in each booklet, 140gsm.